If the HWK is a "TRIAL" or affected by 3rd party tools, this software may not work properly, so use at your own risk. You need to uninstall old HWK Setup Suite and HWK Support Suite and use the new UFSx Support Suite. More Products and Features added. UFST only, see separate Document. Customers who are experiencing the panel hanging on "check box" or "update box", should try to use the older driver and see if the problem is gone. How to install older driver. 1. Make sure your UFSx device is not connected to your PC. 2. Right click "My Computer" and "select Manage"
3. Click "Universal Serial Bus controllers"
4. 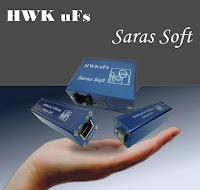 Right click "UFSx Device, (c) SarasSoft" and select "Uninstall"
5. Right click your computer name at the top of the list and select "Scan for hardware changes"
6. When the Hardware Wizard opens, Select "No, not this time" and then Click "Next"
7. Select "Install from a list or specific location (Advanced)" and then Click "Next"
10.Click "Next", click "Continue anyway" to any messages and then "Finish"
then you are still using the latest drivers and you should try the above process again. Many thanks to all those who have supported us!! !